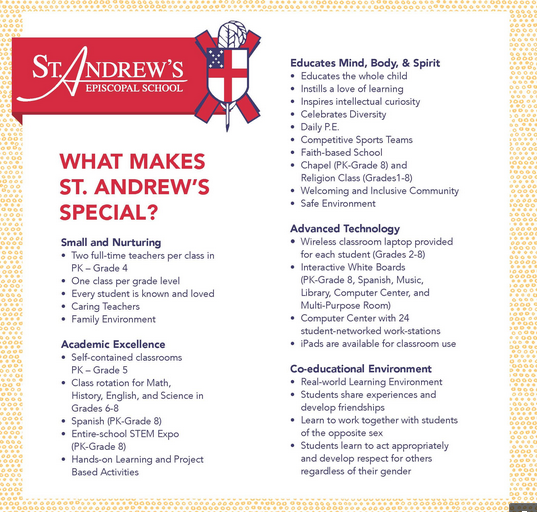 St. Andrew’s School is a ministry of St. Andrew’s Episcopal Church. Please click here to learn more about the founding of the school. If you’re interested in learning more about St. Andrew’s Episcopal Church, you can visit their website by clicking here.